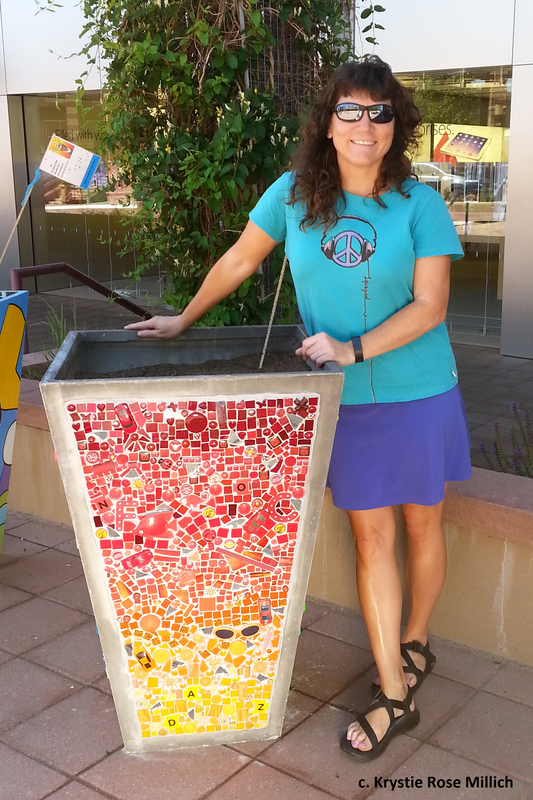 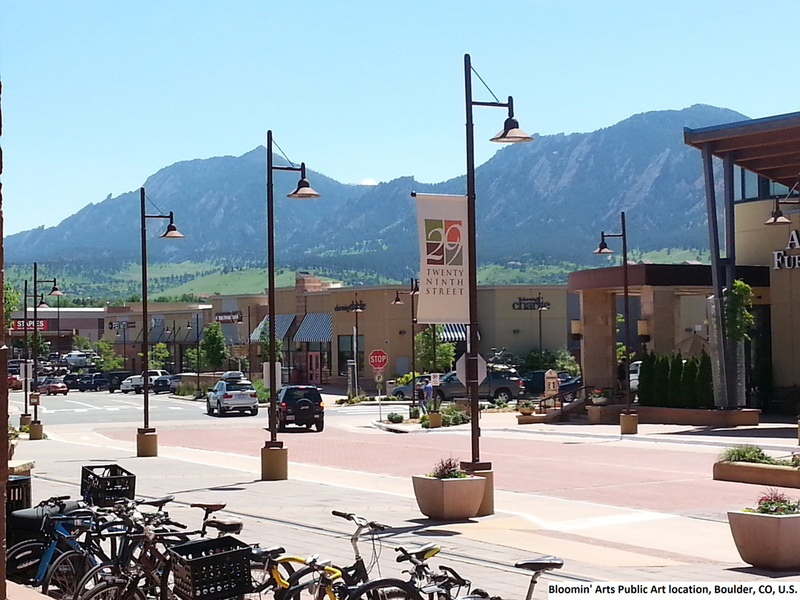 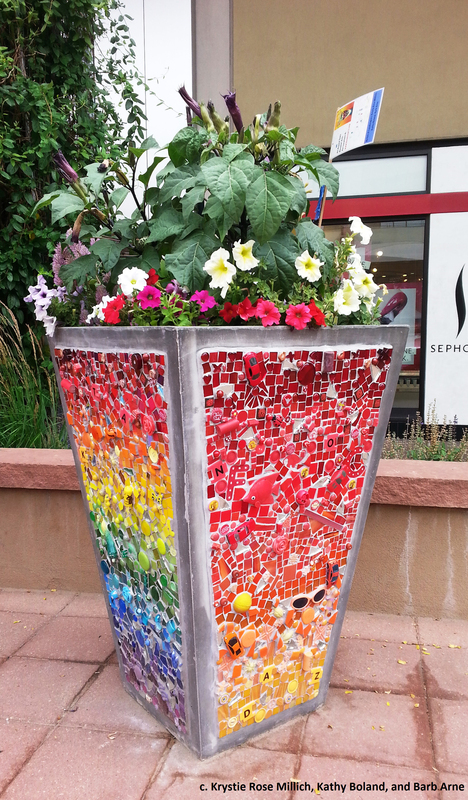 Planter for “Bloomin’ Arts” public art project, Boulder, CO, 2014. 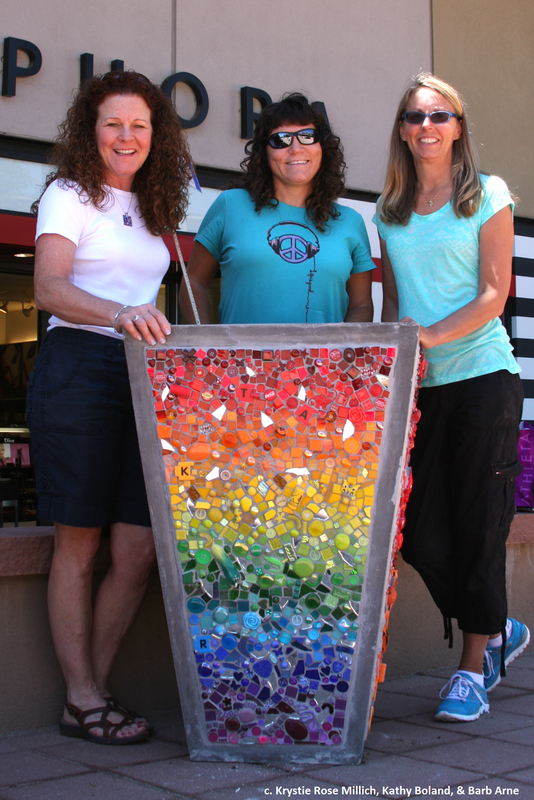 Artists Krystie Rose Millich, Kathy Boland, and Barb Arne. 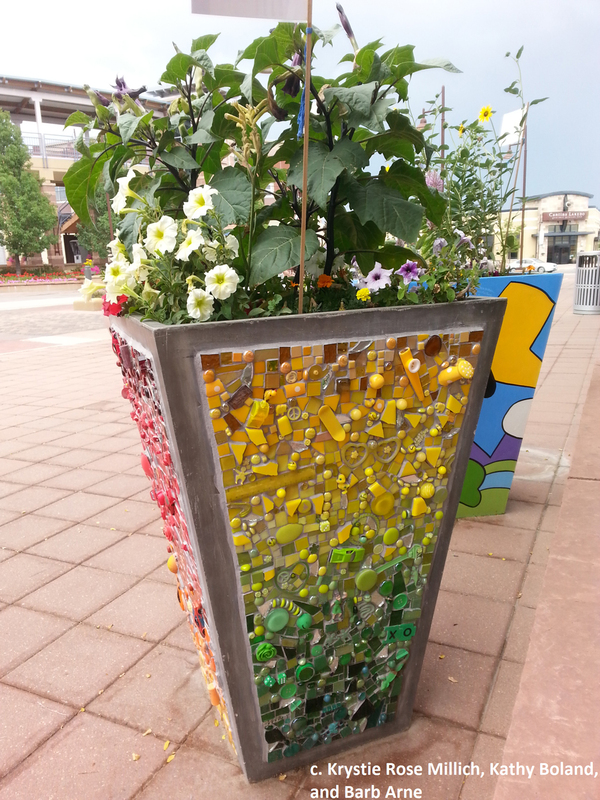 Mixed media mosaic, 4 feet tall x approx. 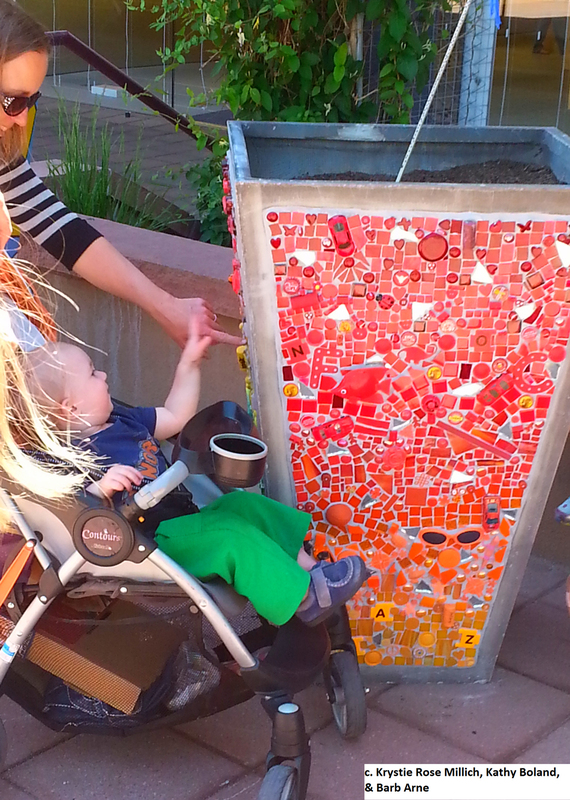 2 feet wide at top, glass, glass tile and objects, ceramic tile, and various found objects on fiberglass planter.